Yasar Moideen of Malappuram in Kerala has boyish looks and a charming smile. Yet, for the past two years, the affable 31-year-old has been leading a somewhat friendless life. In June 2016, some of his friends left India on what he describes as ‘hijrah’—a religious journey to a land “where they could do more good, and sin less”. The leader of the émigrés, a group comprising 21 Malayalis, was Yasar’s best friend, Abdul Rashid Abdullah. Their destination: the ‘caliphate’ established by the Islamic State in parts of Iraq and Syria. The criticism against counter-radicalisation is that it is largely tagged as an initiative to counter radical Islamism alone. mainstream Muslims perceive this as being discriminatory. Rashid is now believed to be in Afghanistan, somewhere in the region that IS calls Khorasan province. He is now one of India’s most wanted men—the National Investigation Agency says he masterminded the recruitment of vulnerable Muslim youth to fight the war for IS. Of the 20 Malayalis shepherded by Rashid to Syria and Iraq, at least one has been confirmed killed in battle. 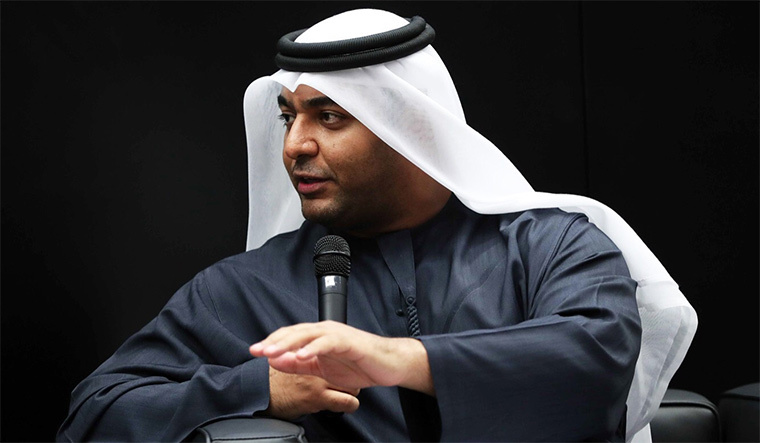 The whereabouts of the others, including that of Rashid, remain unknown. Since he has not broken any law, Yasar has neither been arrested nor has any case been registered against him. He is, however, under the watch of multiple security agencies—the NIA, the Intelligence Bureau and state intelligence agencies, who have all questioned him for information regarding his emigrant friends. The occasional visits by the police apart, Yasar mostly leads a quiet life, working at Peace School in Malappuram and taking care of his three children. 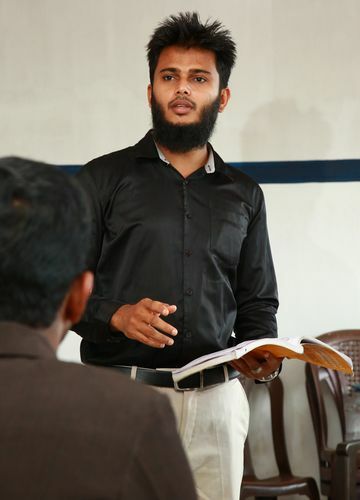 A new chapter: Yasar Moideen, a 31-year-old English trainer in Malappuram, is a participant in the de-radicalisation programme. “If I can make a positive difference to the life of a single person, I hope to be rewarded in afterlife,” said Yasar, when asked why he did not join IS. At Peace School, he is focused on helping children learn technology and embrace modernity, the Islamic way. 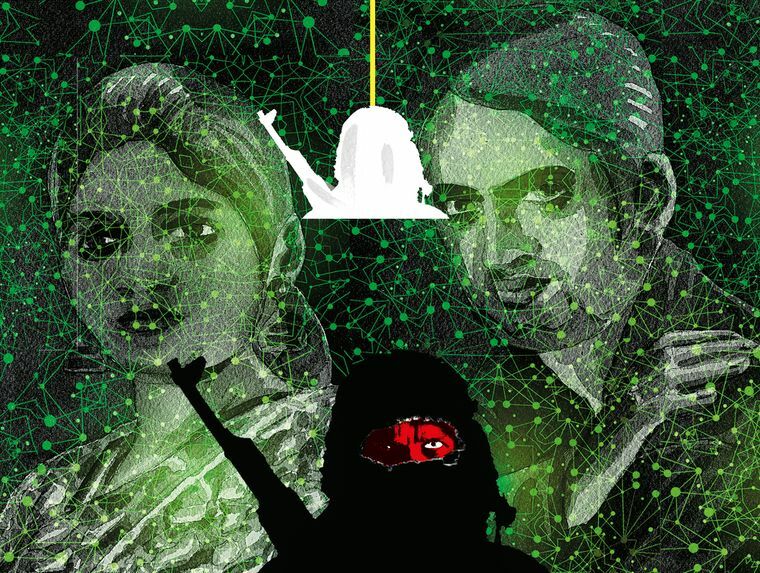 Yasar is a participant in India’s first ‘counter-radicalisation’ programme, which attempts to wean radicalised youth off IS propaganda and let them live a normal life. Like him, there are hundreds of young men and women in states like Maharashtra, Andhra Pradesh, Telangana, Jammu and Kashmir, Uttar Pradesh and Delhi who are taking part in the programme, which aims at liberating vulnerable youth from the ideological moorings that could drive them to break the law and put lives in danger. Drones cannot kill the dogmas of faith. And that is why the government’s counter-radicalisation programme becomes all the more relevant. The strategy began taking shape after 2015, when Prime Minister Narendra Modi appointed former IB chief Syed Asif Ibrahim as special envoy for counter-terrorism and extremism at the National Security Council secretariat. The idea was to develop a counter-radicalisation programme on the lines of what was being implemented in countries like Saudi Arabia and United Kingdom (see graphics). In 2017, Union Home Minister Rajnath Singh set up the Counter-Terrorism and Counter-Radicalisation Division (CT-CR), the first-of-its-kind initiative to help state governments, security agencies and communities in preventing young people from embracing extremism. An integral part of the counter-radicalisation strategy is to mould a counter-narrative that would help in defusing the social media tactics of extremists. With the help of Islamic organisations and religious leaders, efforts are on to ensure that religious texts and teachings are not misinterpreted. A key aspect of this is to reinforce the syncretic nature of Islam in India, which has been influenced by varied cultures and beliefs. Radical outfits like IS, Al Qaeda and the Lashkar-e-Taiba subscribe to Al-Wala’ Wal Bara ideology—which advocates loving those who follow Allah and hating those who do not. India’s counter to this is the Sufi concept of Wahdat al-Wajud, or the unity of being. Its essence is that if you love the creator, then you love all his manifestations. Today, thanks to the counter-radicalisation programme, this message is being spread through websites and sermons, and discussed at madrassas and community gatherings. 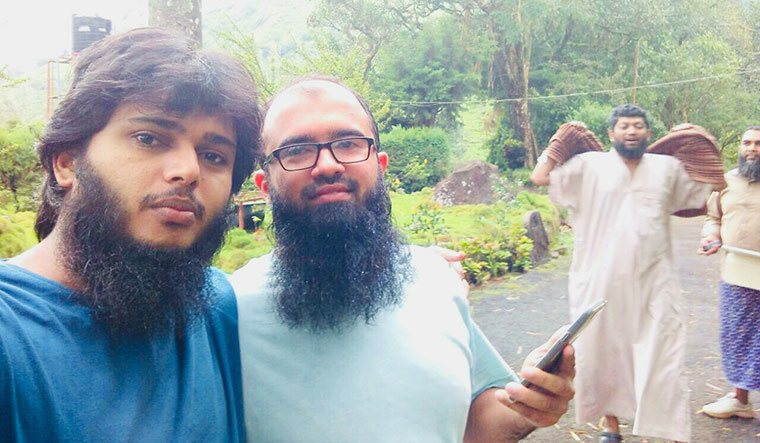 Happier times: Yasar with his best friend, Abdul Rashid Abdullah, before the latter left Kerala to join IS in 2016. In Kerala alone, the spread of the programme is huge. Maulvis in Kannur, Kozhikode, Wayanad, Malappuram and Kasaragod districts are coordinating with superintendents of police to dispel doubts and misbeliefs about Islamic tenets. In Kozhikode, Islamic scholars and activists have joined hands with their network. Senior citizens are being roped in to share their experiences and words of wisdom with vulnerable youth. The police are also focusing on rehabilitating young people who have been jailed, and have upgraded their cyber policing capabilities. Parents who notice their children indulging in suspicious online activities are also becoming part of the programme. “The efforts are both preventive and curative in nature,” said Behera. According to the Anti-Terrorism Squad in Maharashtra, 114 youth, including 10 women, have been de-radicalised in the past two years. The eldest among them is 28 years old, while the youngest is 16. The social background of these youth contradict the conventional notion that it is madrassas that churn out terrorists—they hail from middle- and upper middle-class families, and have studied at secular institutions. More than 25 of them are engineers or trained technical experts, while others are graduates or have completed school education. Most of these young people were radicalised through online group discussions, before some of them began attending seminars organised by radical preachers and meeting other radicalised youth. “Incidents like the Dadri killing, lynchings and beef ban are being projected by radical preachers as a conspiracy against Islam, and the youth are being galvanised to fight back,” said a counter-terror official. “A lot of radicalisation activity has been traced to the dark web.” NIA spokesperson Alok Mittal said the enormity of the radicalisation threat demands that society participate in counter-radicalisation efforts. 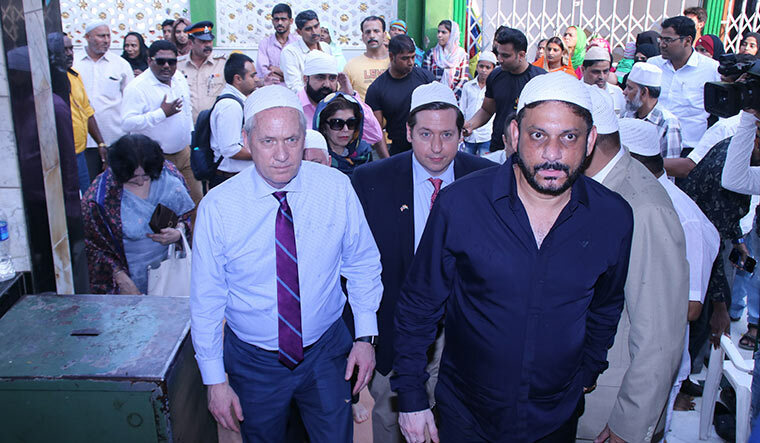 Messenger of peace: Tom Tait, mayor of Anaheim in California, during his visit to Mahim Dargah in Mumbai as part of the Strong Cities Network initiative. Rehana, 25, is a trained aircraft maintenance technician who is employed with a reputed airline in Mumbai. Two years ago, she came under the radar of the Maharashtra ATS, after she converted to Islam and began taking to IS propaganda. Educated abroad, Rehana had been in a state of mental agony after her marriage broke down. She had turned to Islam for solace, and had friends working at Islamic Research Foundation, founded by the controversial preacher Zakir Naik. For security agencies, the fact that Rehana was working in the airline industry was a cause for concern. Shariq, a 21-year-old engineering student in Mumbai, would have gone to Syria last year, if not for the intervention of Maharashtra ATS. With his father working in the Persian Gulf, Shariq was under the guardianship of his uncle, and had been sharing an apartment with his friends. From online chat groups, he was drawn to platforms that had discussions about IS’s declaration of the caliphate. He started spending time reading about the terror outfit, and slowly began wanting to join the caliphate. One day, his uncle got a call from the ATS. “I had no idea what Shariq was up to,” said Ajmal, the 50-year-old uncle. “I am relieved that his cyber activities were noticed at the right time. After all, it was my responsibility to take care of the boy.” Now, every time Shariq goes out of Mumbai, he reports his movements to his case officer. A few months ago, the Maharashtra ATS rescued another engineering student. Nadeem, 24, who was studying in Pune, had been radicalised through social media. Under the ATS’s watch, he was counselled into dropping his plans to go to Syria. The ATS also helped his younger sisters to enrol at a rural self-employment training institute. “Earlier, I was the sole breadwinner of my family. Now, there are three of us,” said a happy Nadeem. 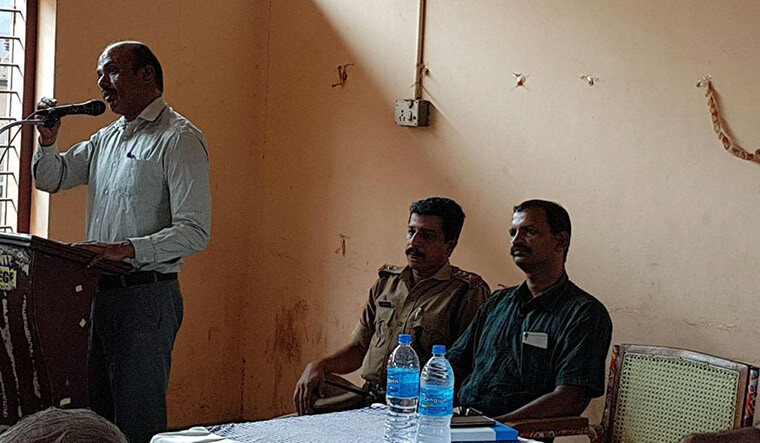 Combating terror: A counter-radicalisation session in progress at Nadapuram, Kerala. Complementing the efforts of state governments and security agencies are the contributions being made by religious institutions. Mahim Dargah in Mumbai, for instance, has long been at the forefront of counter-terror initiatives. In February, it invited two mayors from the US—Tom Tait of Anaheim in California and Greg Fischer of Louisville in Kentucky—for an event spearheaded by the Institute for Strategic Dialogue (ISD), which develops and implements counter-extremism programmes globally. The ISD is leading an initiative called the Strong Cities Network, launched at the United Nations General Assembly in September 2015. According to the SCN website, it is the first-ever global network of mayors, municipal-level policymakers and practitioners “united in building social cohesion and community resilience to counter violent extremism in all its forms”. Mumbai, Peshawar, Oslo, Los Angeles, Dhaka and Paris are some of the cities in this network. The visit of the American mayors to Mahim Dargah was part of the networking efforts. At the dargah, the US delegation met with representatives of various religions. “It is important that all communities find reasons to live together and build relations. We celebrate festivals, share spiritual and life experiences and encourage communities to help each other,” said Fr S.M. Michael, secretary of the Bombay Archdiocesan Commission for Inter-Religious Dialogue. In good faith: Suhail Khandwani (left) of Mahim Dargah says fanaticism is not limited to a particular religion. Sister Anjali of Brahma Kumaris said we could transform the world only through transforming ourselves. Dr Zahir I. Qazi, president of the Mumbai-based Anjuman-I-Islam, said focusing on the education of have-nots played a key role in countering extremism. “Out of 1,00,035 students enrolled [at institutions run by Anjuman-I-Islam], 60 per cent are from slums,” he said. 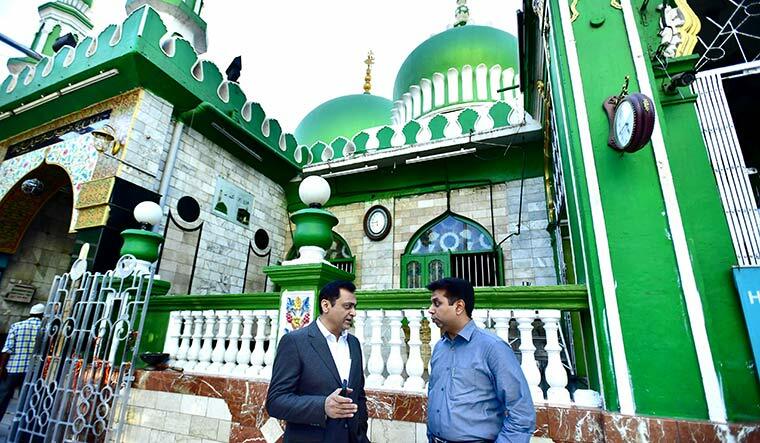 Sabir Jamal Sayed, director of information technology at Mahim Dargah, said the dargah was organising workshops to help madrassa students use social media in an empowering way. “We teach them to develop counter-narratives and handle hate speech,” he said. The aim is clear: To prevent online spaces from being turned into recruiting grounds for violent extremism. But, like all laudable efforts, the counter-radicalisation programme also has its share of challenges. It has been unable to quell the “fear of the other” in people’s minds, and to prevent them from stereotyping and stigmatising certain groups. A case in point is the situation at Athikkad colony, a few kilometres away from the heart of Malappuram in Kerala. A serene residential area surrounded by teak forests, it is home to followers of Dammaj Salafism, a branch of Salafism noted for its ultra-conservative tenets. The Dammaj Salafis here comprise around 15 families that moved in together several years ago, so as to practise their faith and create a homogenous community. They rear goats for a living, and seldom step outside the colony. In 2016, when 21 Malayalis left for Syria and Iraq, this colony drew global attention for its extreme ideology and suspected links to IS. The fear, apparently, persists—even the postman does not venture into the colony. Removing the stigma remains a challenge. Counter-radicalisation efforts also have to grapple with the problem of distinguishing radicals from deeply religious people. “Notably, the most number of fatwas against terrorism have been issued by Indian ulemas. Even the Jamiat Ahle Hadith, seen as the ideological underpinning behind violent jihadism across the world, has issued a fatwa against terrorism in this country,” said the Delhi-based Islamic scholar Ghulam Rasool Dehlvi. The NIA, however, is keeping a close watch on their activities, even though it has ruled out any links between them and the 21 who went missing earlier. “So far, there is no evidence to prove that they were in touch [with the 21] or that they have any common link,” said a senior police officer.